Paul McCartney and I have a lot of things in common. We both like Beatles songs, prefer our hair a little shaggy, and both visited the new Yankee Stadium for the first time last weekend. While Paul brought his band to play two concerts to a stadium full of fans, I brought a couple of cameras to capture the action. 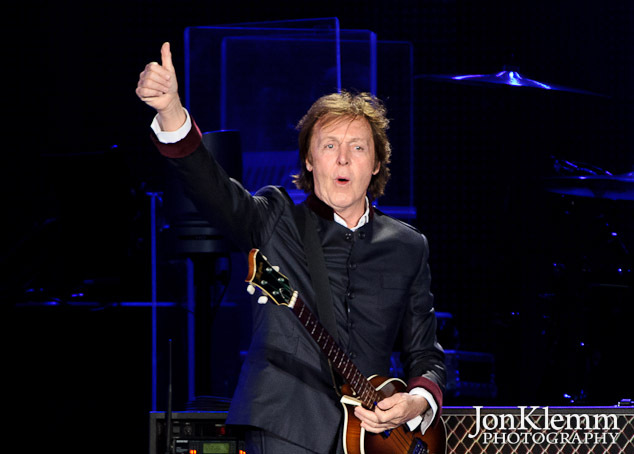 You can read Time Out New York’s review of Paul’s Friday night show here. My full gallery of photos from the Saturday night concert can be found here. This entry was posted in Concert Photography and tagged Paul McCartney, Yankee Stadium.